Influence of Lobbyists- who is making a difference? This article was posted on WRAL on Sunday, August 30, 2015 and is insightful into who lobbies and why. 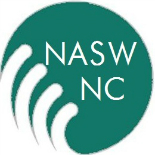 Alex Miller, contract lobbyist for NASW-NC is interviewed in the article. Raleigh, N.C. — When the loud thunk of the speaker’s gavel hammered a legislative day to a close on a recent afternoon, most members of the state House began moseying off to late-day meetings or, if they were lucky, home for the night. As rank-and-file lawmakers filtered out, more than a dozen lobbyists made beelines for the desks of a few key committee chairmen. Asked whether outside interests were trying to influence his work on a Medicaid reform bill that will change how billions of state and federal dollars are spent, Rep. Donny Lambeth, R-Forsyth, nodded toward a clutch of lobbyists gathered a few feet away. It’s no secret, said the budget chairman who is leading the House’s effort on the bill that doctors, hospitals and other health care providers – and the people paid to represent them – were helping to shape a measure that will ultimately determine how the state provides health care to one out of every five North Carolina residents. The image of a lobbyist in popular imagination, informed by outlandish cultural references such as the Netflix show “House of Cards” and scandals including the pay-for-play Jack Abramoff affair in Washington, D.C., and the Raleigh firestorm that sent former House Speaker Jim Black to jail, belies the work-a-day world in which most of lobbyists live. While the exact number of lobbyists registered to ply the halls of the Legislative Building and executive branch agencies varies week to week, the number has hovered between 750 and 800 in recent years, according to data from the North Carolina Secretary of State’s Office. In 2014, publicly traded companies, small businesses, local governments, nonprofits and other interests reported spending $38.9 million on lobbying state government, $35.9 million of that on salaries. By comparison, the General Assembly’s total annual operating budget is roughly $53 million per year. One of those waiting on Lambeth last week was Alex Miller, who represents the North Carolina Nurses Association and the state chapter of the National Association of Social Workers. The lawmaker, he said, had asked for information about his clients, and Miller said he wanted to make sure an email with a response had gone through. His clients, Miller said, aren’t the biggest players in the Medicaid reform debate but could see their livelihoods drastically affected depending on what the state does. “To their great credit, Rep. Lambeth, Sen. (Ralph) Hise and other leaders have continually sought input from organizations representing the providers who care for Medicaid patients as they develop the reform plan,” Miller said. Although their roles aren’t described in many civics textbooks – and many would rather stay out of the news altogether – very little public policy makes it through the North Carolina legislature without a nudge, nip or tuck from a lobbyist. That’s not unique to North Carolina. Two decades ago, the late author and public policy professor Alan Rosenthal described the lobbying regulars who plied their trade around the nation’s state House and Senate chambers as the “third house” of any particular lawmaking body. Rosenthal’s observation that “legislators, like the rest of us, are more apt to do things for individuals they like and trust,” is at once an observation about human nature, a truism of the profession and at the root of public suspicions about the profession. When you think about power and influence in Raleigh, the sparely furnished snack bar tucked away in a corner of the Legislative Building’s underground parking lot is probably not what leaps to mind. Yet, the small shop with a hot griddle pumping out breakfast basics and a clutch of chairs that may just date to when the building opened in 1963, is a key early morning stop for Ken Melton. He’s the owner of a small lobbying firm that runs herd on Medicaid, tax policy and more for a group of clients ranging from the Autism Society of North Carolina to the Cherokee Tribal Gaming Commission and the NFL Players Association. Informal conversation over caffeine and cholesterol may not seem like a crucial piece of business, but lobbyists interviewed on and off the record say opportunities to informally mingle with lawmakers are rare and prized. “If you were a young person starting out today and just graduated from one of the universities in the state and never been here, I don’t see how you get your foot in the door. I don’t see how you do it,” said one veteran lobbyist who has also served in government roles, whose clients did not give him permission to speak for attribution. More than a decade ago, it wasn’t uncommon for lobbyists to regularly host dinners at some of Raleigh’s swankiest restaurants for lawmakers or host house parties to entertain legislators who found themselves bored and far from home. Golf outings and vacation travel weren’t unheard of. By and large, these informal perks went away when the General Assembly imposed a package of ethics reforms around 2005 and 2006, the time period when a pay-to-play scandal helped prod Black from his powerful perch as speaker and then led to his conviction on corruption charges. As a result of those changes and others made over the past 10 years, North Carolina ranks high on national scales of transparency in the lobbying profession. Reformers are pleased with changes that limit what “things of value” lobbyists and their employers can provide to individual lawmakers. Lobbyists have been largely excised from any functional role in campaign fundraising, although they can still give advice to clients looking to donate on which candidates are likely to support their issues. “I think we cleaned up the most egregious things,” said Jane Pinsky, who heads North Carolina Coalition for Lobbying and Government Reform and is herself registered as a lobbyist. No longer, she said, do you hear of lobbyists or their clients regularly shelling out for steak dinners and vacations. The result is a legislative milieu that’s much more buttoned-down. Trade associations still host receptions for lawmakers, but those affairs are technically “open to the public.” Pinsky said there could be additional steps taken to make those events somewhat more transparent. In Maryland, for example, state law requires a group holding a reception for lawmakers to record all who are invited and all who attend. She said North Carolina should move toward real-time reporting of expenses. “If I were ever to have an expense, I should be able to report it from an (application) right on my phone,” Pinsky said. “A little bit more transparency would be wonderful, but we’re far better than we were,” she said of the Raleigh lobbying scene. Lobbyists interviewed for this story say the new rules have their benefits. Family life is no longer interrupted by late-night socializing, expense reports are much slimmer and for those representing small companies or nonprofits, the playing field is more level. That’s not to say the day-to-day contacts inside the Legislative Building are the extent of how lobbyists and those who employ them attempt to influence lawmakers. Annual conferences hosted by groups such as American Legislative Exchange Council, or ALEC, provide an opportunity for business leaders to mix with politicians. Lawmakers rarely emerge from nowhere onto the political scene and come to Raleigh with a network of business and public-sector contacts who will have an interest in policymaking. And campaign season offers plenty of chance for politics and policy making to rub up against one another. But as individual pieces of legislation make their way through the General Assembly, it’s often up to those on the ground at the legislature to make the last ditch case for or against a measure or to make sure a seemingly innocuous reference doesn’t dramatically affect their clients’ fortunes. Sometimes that can take the form of standing up during a committee hearing to make a case for or against a bill. More often, lobbyists are earning their retainers by visiting lawmakers outside their offices – often after long waits – catching them on their way to or from a voting session, or merely being available “on campus” around the legislative complex when a question comes up. It’s not uncommon to see lobbyists working on their laptops of chatting with colleagues around tables that dot the Legislative Building. Former lawmakers, those who have worked inside the system, tend to see success as lobbyists once there terms in office have ended. In 2013, when the Center for Public Policy Research did its last rankings of lobbyist influence, 11 of the top 50 were former legislators. Worsham said that’s likely because lawmakers are already a known quantity among their former colleagues. Other lobbyists topping the center’s list were people with whom lawmakers have existing relationships. Long-time fixtures on the North Carolina political scene such as Tom Fetzer, a former Raleigh mayor and former chairman of the North Carolina Republican Party, rank highly, as do people who have become familiar faces at the legislature over period of years. For example, Andy Ellen, president of the North Carolina Retail Merchants Association, and Lori Anne Harris, whose firm represents a variety of business clients, rank highly. Both have been working the building since the 1990s. Compiling a complete taxonomy of those who might be called a “lobbyist” in Raleigh would be tedious. For example, those who work with lawmakers on behalf of state agencies are known as “legislative liaisons.” Some register as lobbyists because of their work with executive branch agencies or merely out of an abundance of caution. About 10 percent of those registered to lobby in Raleigh list work addresses in other states, including Virginia, Georgia, California, and Washington, D.C.
A unifying theme in all their work is the axiom, “If you’re not at the table, you’re on the menu.” Simply put, in a 170-member General Assembly that sifts through 2,000 bills a year, distributes billions of dollars of state and federal spending and can outlaw or tax a business with a few lines of hard-to-decipher legalese, not having representation is not an option for many groups. “We’re talking about .000375 percent of our budget,” said Donald Gintzig, president and chief executive of WakeMed Health and Hospitals. WakeMed has consistently made one of the biggest investments in lobbying state government over the past five years, according to reports published by the Secretary of State’s Office. In 2014, the latest full year for which data is available, the hospital system spent $380,044.50, the bulk of that on payments and salaries to the system’s four-man lobbying team that includes Fetzer, former Rep. Jim Harrell and Dana Simpson, a former legislative staffer. Gintzig argues that what the legislature does directly affects his system’s ability to provide health care. “Our role is to help them (lawmakers) understand that complex relationship,” he said. Aside from the broad areas of government and taxes, more lobbyists say their principals are interested in health care than any other topic. A third of the top 20 spenders on lobbying in Raleigh over the past five years have been companies or nonprofits that have a direct stake in the health care industry. In addition to WakeMed and Charlotte’s Carolinas HealthCare System, insurer Blue Cross Blue Shield of North Carolina, the North Carolina Medical Society and the North Carolina Hospital Association make regular appearances in the top 20 year to year. It’s little wonder. The Medicaid reform package Lambeth is working on will have massive implications for hospitals. Debates over whether to expand Medicaid to cover more low-income individuals, whether to do away with “certificates of need” issued for large medical equipment purchases and legislation affecting sales tax refunds for nonprofits are just a few of the issues that will govern tens of millions of dollars every year. “Even the most well-meaning legislation can have unintended consequences for consumers,” said Lew Borman, a spokesman for Blue Cross, the state’s largest health insurer. Blue Cross declined to allow their lobbyist to speak on the record for this story, but like Gintzig, Borman said his company’s efforts were geared toward ensuring seemingly innocuous changes did not have unintended consequences. Cody Hand, a lobbyist and deputy general counsel for the North Carolina Hospital Association, is a former staffer for Senate President Pro Tem Phil Berger. Even top lawmakers like Berger, Hand said, have a limited number of staffers to dig into policy issues that range from health care to the environment to taxes. In addition, members of the legislature’s nonpartisan central staff help to draft bills, compile budgets and research topics. All do a good job, Hand said, but there are only so many hours in the day. “Central staff has a lot of knowledge, but they don’t have a lot of time,” he said. Hand, like many interviewed for this story, sees the lobbyist’s role as providing easily digestible information on complex issues. The more relevant that is to the people a legislator represents, the better. “We have a lot of data, so we try to give them a lot of data relevant to their districts,” Hand said. Rep. David Lewis, R-Harnett, the influential House Rules Committee chairman, backs up that idea, saying there’s just too much information for a lawmaker to master every day to not rely on subject-matter experts. Lobbyists say that they try to punctuate facts and figures with individuals, connecting lawmakers to constituents who might be particularly affected by a bill. For example, both sides of a battle over whether to shift how sales taxes are distributed throughout North Carolina – something that could change who gets millions of tax dollars every year – have brought local county commissioners and city council members to visit lawmakers. Asked what the legislative process would look like if, for some reason, lobbyists were banned from the process, Hand thought a moment. “I don’t think anybody in this state wants to see what that looks like,” he said. Most of the companies and interests that spend the most on lobbying in North Carolina are not surprises. Duke Energy is a massive electricity provider in one of the most heavily regulated businesses in the state that, in 2014, was at the center of a massive coal ash spill on the Dan River. That year, it reported spending $802,962.96 on lobbying. Lobbyists for the North Carolina Farm Bureau, a group perennially on the top lobbying spending list, checked off all 30 of the possible categories of legislation over which their group would try to have influence when they registered earlier this year. The group represents farm interests on everything from environmental regulation and tax policy to how local government ordinances and energy policy affects their members. One name that many wouldn’t expect to see at the top of the lobbying list is the Southern Environmental Law Center, a nonprofit that advocates for policies to limit pollution and helps other environmental nonprofits. But in 2014 and 2012, SELC was tops in aggregate spending on what is broadly defined as “lobbying” in North Carolina, despite providing less compensation to its lobbying team than corporate interests such as Duke Energy. “Last fall, we did a lot of things encouraging people to go to the Mining and Energy Commission to comment on new ‘fracking’ rules,” said Mary Maclean Asbill, a lobbyist and lawyer with SELC. Urging people to speak out, call their lawmakers or pressure the governor all fall into a category of work North Carolina’s lobbying law defines as “solicitation,” in which a group asks citizens to take a particular action. So, when SELC produced a series of television ads labeling certain lawmakers part of the “fracking crew” and urged citizens to bombard their offices asking them to reverse course on natural gas drilling, that’s a form of lobbying. The commercials have the look and feel of campaign ads and straddle the gray space between governance and politics. While such an ad won’t make her terribly popular with certain lawmakers, Asbill said, it can help start a conversation with others. “We feel like a lot of these legislators are out of sync with their constituents,” she said. Noting that airing ads that prompt phone calls or rattle a political cage is a way to get lawmakers to pay attention. Like many of her colleagues, Asbill said that the post-2005 lobbying reforms have evened the playing fields between large companies and groups like SELC. For one reason or another, she said, some lawmakers are more sympathetic to certain interests. Campaign spending is one common explanation – large corporations and their executives can play a bigger role in campaign finance than less well-heeled interests. That giving can open doors and lay the foundation for relationships the carry over into governing. But many more lawmakers are fair-minded, Asbill said. While having a lobbyist on retainer may not exactly be a status symbol, it’s certainly a symbol of being a player. That sentiment spilled onto the Senate floor earlier this summer when Sen. Harry Brown, R-Onslow, blasted big cities who were opposing his plan to shift sales tax distribution. “We know who’s got the lobbyists up here in Raleigh. Wake County’s got a lobbyist. Mecklenburg’s got a lobbyist. There’s about two or three other counties that’s got a lobbyist. And they’ve been running around here like things are going crazy,” Brown said. Lewis said that even those who can afford to have a lobbyist on the ground do well to give away some of their natural advantages. This entry was posted on September 1, 2015 by naswnc in Advocacy, Blog Posts by Topic and tagged Lobbying, Lobbyist, macro practice, macro social work, Medicaid Reform, NC Social Work Advocacy, NCGA, social work, WRAL.